Danish artist HAZE has been producing music for almost five years, however 2017 was the time when he first decided to share his music with the world. 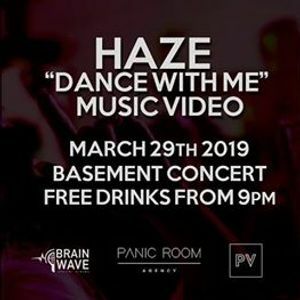 HAZE produces Dance/Pop with subgenre elements, such as tropical house, deep house and future house. He quickly developed his own style and sound. His music and performances are defined as “Summer Music”, which creates unique atmosphere during his shows. To put it simple - HAZE knows how to throw a party. His first song that has gained global recognition has been received well by the public and highly supported. Due to its success, HAZE has gained fans from all over the world when being only 20 years old. HAZE is not just a producer, he is also a really energetic performer/DJ. He is making his way through the music industry with big steps. He has already made a mark in the music world with his recent releases on the labels such as Strange Fruits, NCU and Killabite Media. However, HAZE’s journey has just begun and there is so much more in store for the future. The artist’s recent releases have also been discovered and supported by the Spotify Team and featured in their huge public playlists. 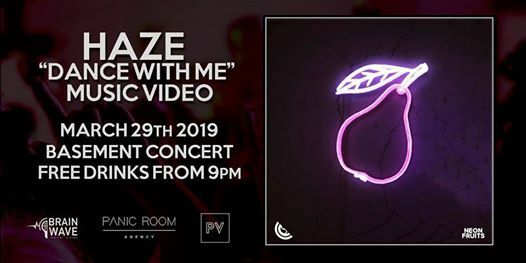 Besides receiving massive support from Spotify and other audio streaming platforms, HAZE has also received encouragement from such famous artists like Sam Feldt (Spinnin’ Records), Helion (Bounce United), Steve Void (Strange Fruits) and others. Additionally he has collaborated with big names like Edion (Armada Music), Breeze (Hexagon) and DECL+ (Strange Fruits).